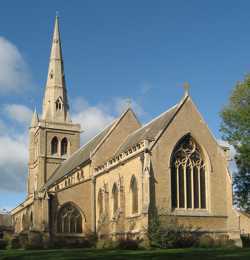 St John’s Church was designed by H I Stevens and erected in 1854-56, built of Mansfield stone. The funding came from Henry Gally Knight. 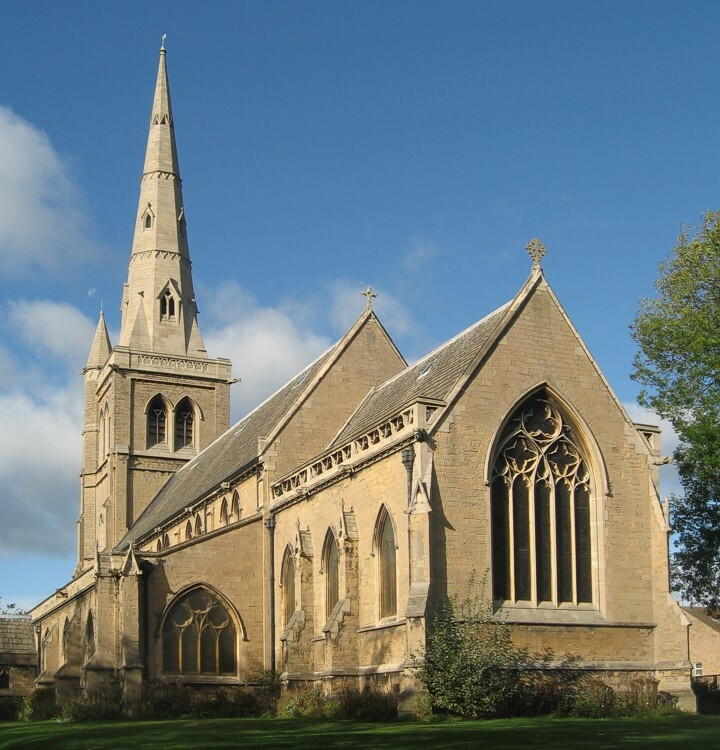 It consists of chancel, nave with clerestory and arcades of five bays, aisles, south porch and an embattled west tower of four stages, stair turret and spire, plus one bell by C & G Mears. There are ten stained glass windows. The east window (1870) depicts scenes from the life of Our Lord, the west window (1905) is good and is by Holland of Warwick. In 1963 the Mellors Memorial windows by Pope & Parr were installed. The pulpit of carved oak was erected in 1888, the oak lectern in 1909. The High Altar, dedicated in 1921, is a First World War memorial. In 1926 the Lilley Memorial Chapel was dedicated. Pevsner (1979) describes it as 'an expensive-looking church' and thought the detail good, 'especially the broad flowing tracery' of the east window.